Happy Spring, or something like it! The calendar assures me that soon, the grass will start to turn green again, flowers will poke their heads through the soil, and young hearts will turn to love. But that calendar’s 2 years out of date, and I’m only keeping it because I like the pictures of tigers for each month, so I’m not sure how well I should trust it. Regardless, things charge ahead! The mixes for my upcoming full-length, House of Ghosts, are sounding fantastic. I had the opportunity to give a sneak preview of three of the tracks, and chat about tour stories with Mike Sandy on the CLE show last week – you can check out the interview here! No release date set yet, but if you want to be first in line to know when that’s announced, make sure to follow my social media accounts to keep up to date. Editing is also almost all complete on Almost Like Live, the multimedia EP that I’ll also be releasing shortly. 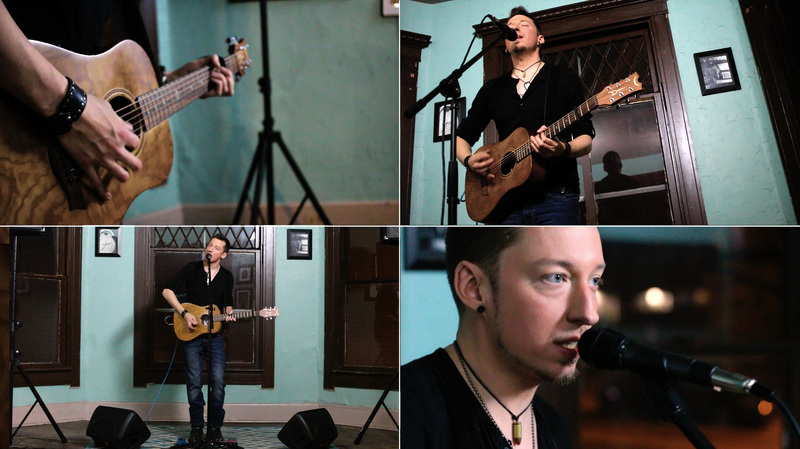 Here’s a few still frames from the videos – as expected, Mark Sowers knocked it out of the park on the visuals for this one. I’ve got a few shows this month, including one TONIGHT in Erie, PA with my friends in Ashley. I’d love to see some friendly faces at those shows! Also, while I don’t usually mention it in these e-mails (they are, after all, labelled as “music news”), one of the many hats I wear is running a board game company. 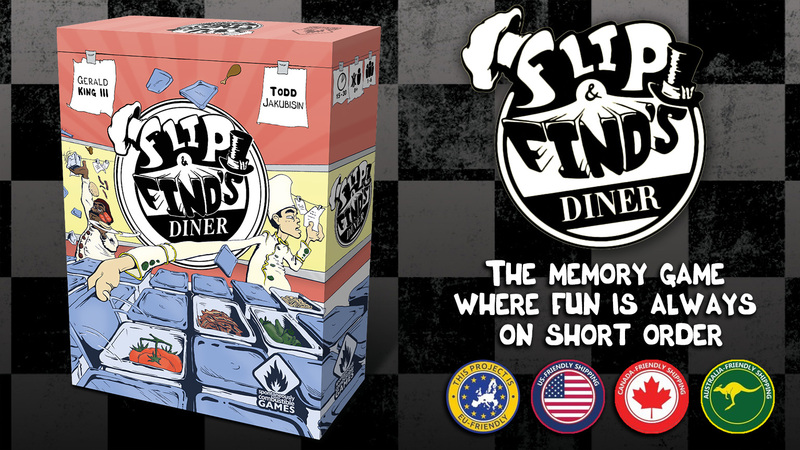 We’ve got a Kickstarter campaign going right now for our second game, a memory game called Flip & Find’s Diner that’s all about trying to remember where you left your noodles. If you’re in to tabletop games, give it a look!